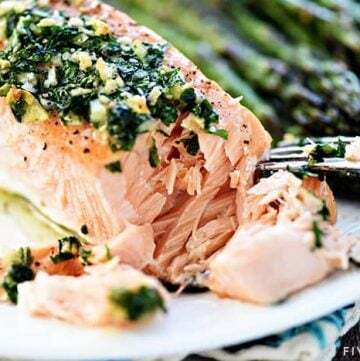 Baked Salmon with Garlic & Parsley is a flavorful, delicious recipe that comes together in a flash, to impress company or as a go-to weeknight dinner! 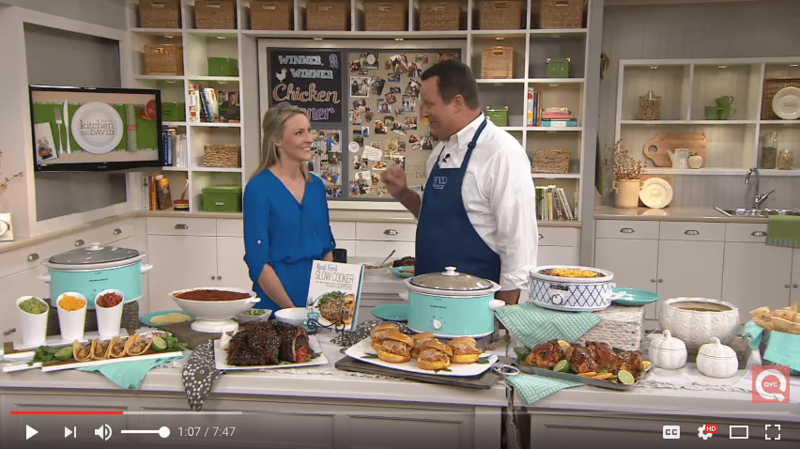 If you enjoy easy baked main dishes like Baked Salmon, I think you’ll also love Ground Beef & Broccoli, Sheet Pan Pesto Chicken & Veggies, or ever-popular Copycat Shake ‘n Bake Chicken Nuggets. As many times as I’ve vowed to eat more fish over the years, I never manage to hold up my resolution very well…except during Lent. Indeed, we’ve enjoyed salmon on multiple Fridays over the past few weeks. 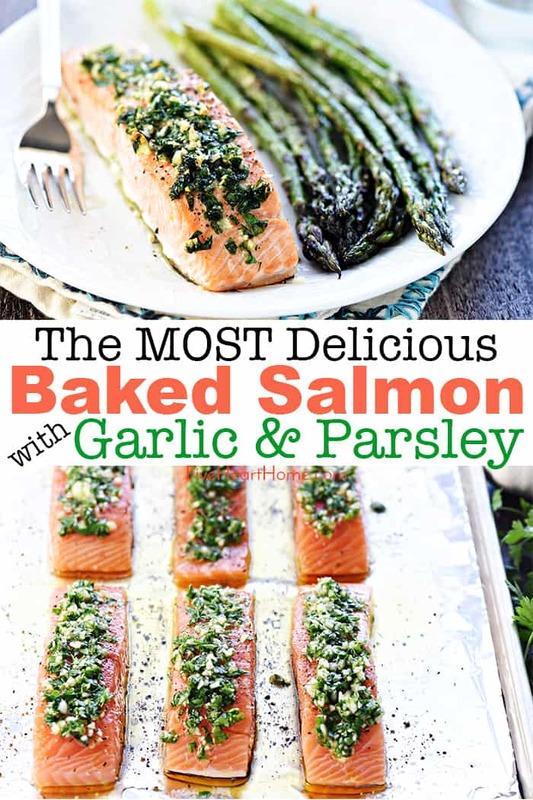 And we’ve actually enjoyed it so much that I decided it’s high time I share my favorite incarnation with y’all: Baked Salmon with Garlic & Parsley! Today’s recipe is so quick and easy, y’all. And it’s SO flavorful and delicious! In fact, I have sneaking suspicion that my kiddos will continue requesting it long after Lent is over…and I’ll be happy to oblige. 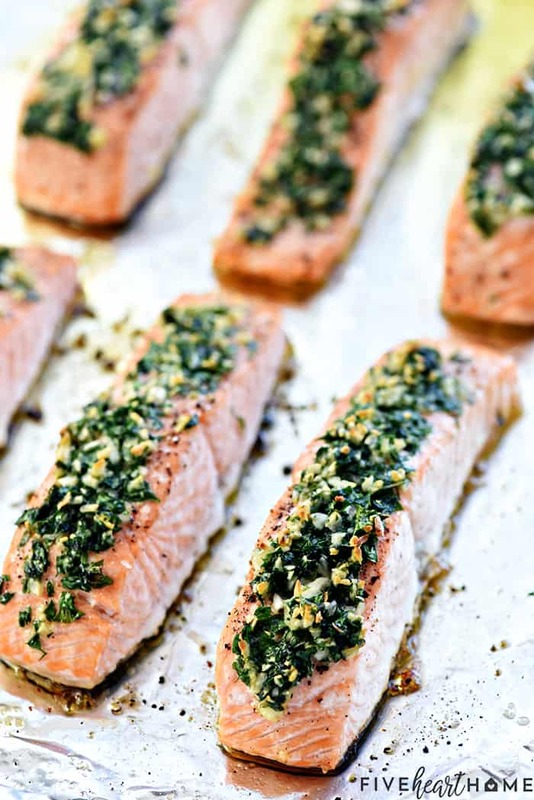 This baked salmon is as simple as laying a few lovely pink fillets on a lined baking sheet, seasoning them with salt and pepper, and then spooning a yummy garlic, parsley, and olive oil sauce on top. Then just pop ’em in the oven for 15 to 20 minutes and prepare to dig into the fish’s meaty yet light texture and savory garlic herb sauce! Though baked salmon is easy enough to cook, you do have to be somewhat careful to ensure it’s not under-done (because, food poisoning) or over-done (because, well, it’s just not as tasty if it’s dried out and chewy). I’m like Goldilocks in that I prefer mine just right — not too dry, but not too under-done either. One key thing to look for is can you flake it with a fork? Meaning, can you pull apart a piece of fish with your fork and notice that it flakes rather easily and isn’t tough to separate? In other words, you shouldn’t find yourself looking for a steak knife to saw through it. I’ve found that baking salmon at 400 degrees for 15-ish minutes is the sweet spot. But if you’ve followed the instructions and you’re just not certain your salmon is done enough, don’t fret. Grab the ol’ food thermometer and stick it in the meatiest part of the fillet. Or — better yet — cook the salmon with a probe-type digital food thermometer inserted the entire time. Once it reads 145°F, you’re good to go. If you prefer your salmon a little more or less done, that’s up to you. But you should be able to tell if the flesh flat-out isn’t cooked enough…it’ll look rubbery and more red than pink. 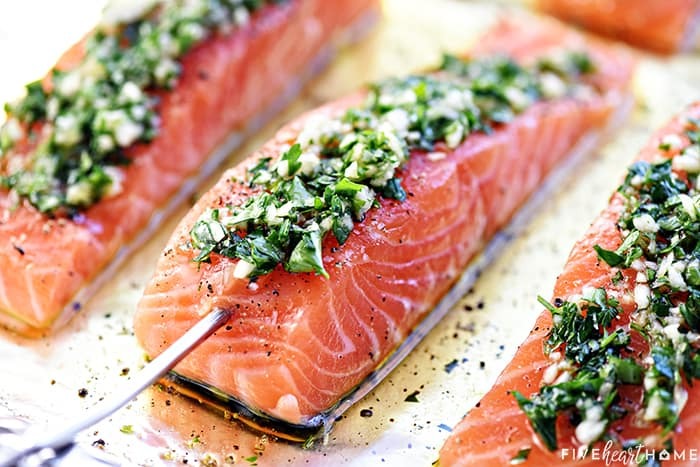 What Seasonings Are Good on Baked Salmon? Salmon is so easy to dress up or down, depending on your mood, your company, and maybe even the season. 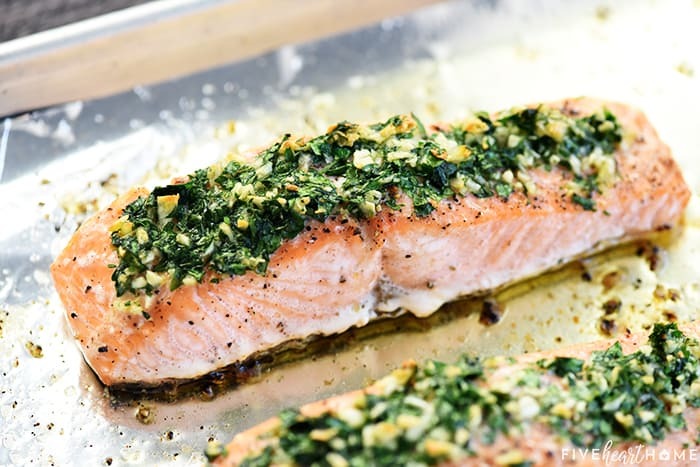 So if you’re craving baked salmon — but not the garlic-and-parsley topping of today’s particular recipe — here are some of my favorite alternate ways to flavor this fish. Minced garlic, lemon juice, rosemary, and capers. You’ll love the tangy brine of the capers mixed with the woody rosemary and fresh citrus tartness of the lemons. This treatment works well when cooked in a foil packet, too. Old Bay. It’s been around for a long time for a reason — Old Bay seasoning IS great on fish of all types. Korean BBQ. You can also find this marinade already bottled in your grocer’s international aisle. A little tangy, a little spicy, all awesome. Paprika, lemon juice, and garlic powder. Remember, a little paprika goes a long way. 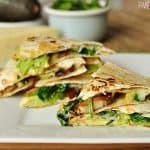 So you’ll only need a tablespoon or two sprinkled over three to four fillets. 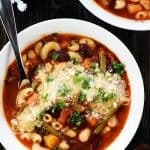 Substitute minced garlic for the powder if you prefer. 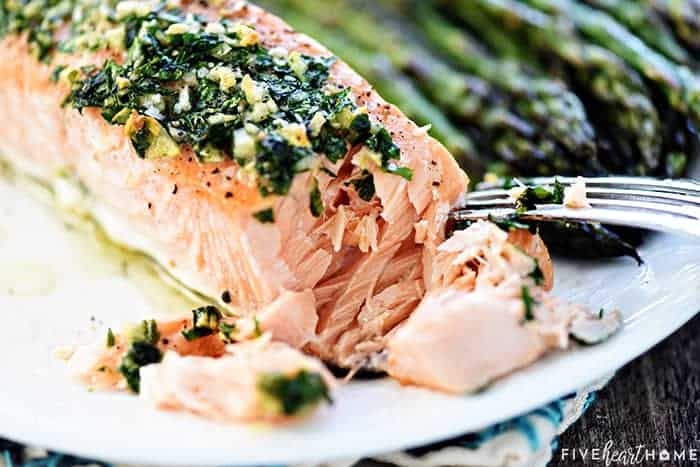 This garlicky/smokey/citrusy salmon provides a burst of in-your-face flavor and is not for mild food lovers. Miso paste. Another pre-packaged Asian food, miso paste is a thick, salty brine of a sauce that blends very well with other complementary flavors, such as soy, teriyaki, green onions, rice vinegar, ginger, and garlic. Fresh herbs. I know, this one is a little vague. 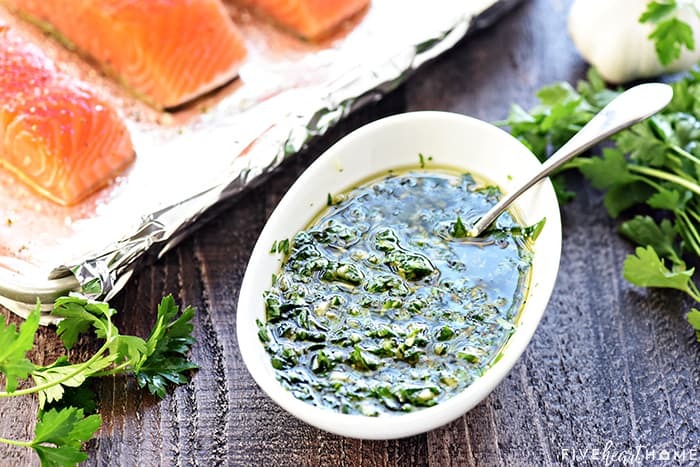 But just like I did with parsley in this baked salmon recipe, you can do with just about any of your favorite herbs. Garlic, salt, pepper, and any finely diced herbs go great with fish! Use any you have leftover or use dry herbs and spices if that’s all you have. Remember, dried spices are more pungent than fresh, so be careful not to go overboard. The typical ratio is 1 part dried herbs = 3 parts fresh herbs. Here is the digital food thermometer pictured in this post. I try to get salmon with the skin on if possible. Because you don’t turn salmon when it’s cooking, it’s always nice to have that skin serve as a protective layer between it and the pan or grill. I hear the skin is also high in Omega-3s, though I’m not personally brave enough to eat it. But I won’t judge you if you do! Oh! And don’t forget to always cook it skin-side down. If your salmon is a little too wet when you take it out of the package, pat it dry with paper towels. This will help the seasonings to stick to it much, much better. When marinating salmon, I like to put the fillets GENTLY in a zip-top bag or shallow dish, then pour the marinade over. Then leave it alone to marinade (in the fridge) for two to four hours. Fish generally doesn’t need a lot of time to marinate. And if your sauce has any kind of citrus, that acid can actually start to cook your fish. You don’t really want that, unless you’re making ceviche. If you have a fish turner, use that to transfer the fish to your plate. 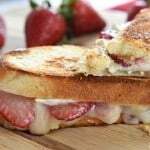 A thin, sturdy spatula will do the trick as well. If you are using tongs, slide one tong end under the fish before picking it up. It can flake apart easily so you have to be very gentle in transporting the fish if you want it to make it to your plate in one whole piece. With the rack in the center position, preheat the oven to 400°F. Line a large, rimmed baking sheet with foil, and lightly oil the foil or spray it with non-stick cooking spray. Place the salmon fillets on the pan, skin side down, and generously season them with salt and pepper. 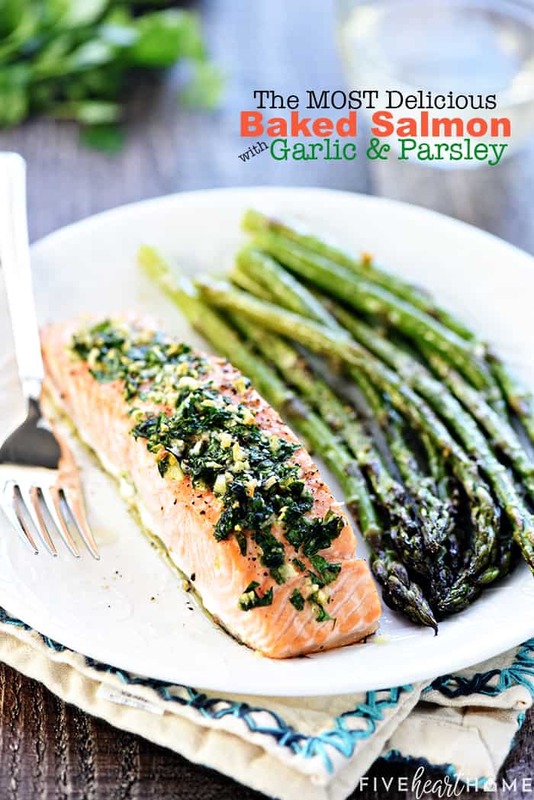 In a small bowl, combine the garlic, parsley, and olive oil (or melted butter). Spoon the mixture on top of the salmon, evenly dividing it between the fillets. Insert a thermometer into the end of the thickest part of one of the salmon fillets, ensuring that the probe is not angled downward nor touching the pan. Place the pan in the oven and cook until the salmon reaches 140°F, which should take 15 to 20 minutes, depending on the thickness of the salmon. 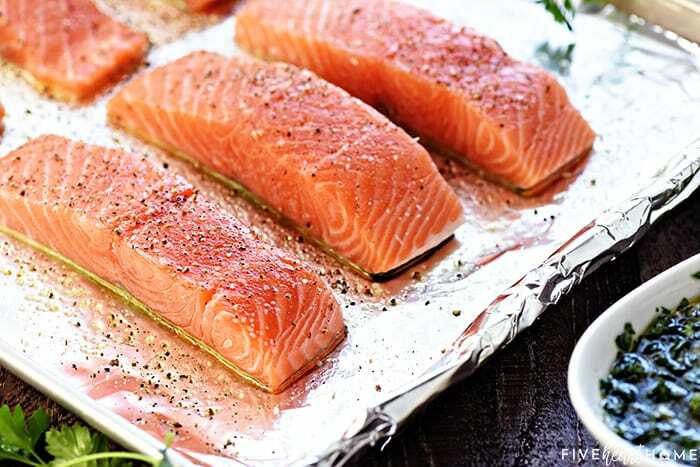 Remove the pan from the oven, loosely cover with foil, and allow to rest until the temperature increases to 145°F (the safe temperature for fish per the USDA). Serve immediately. 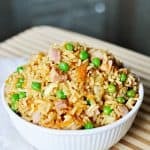 You can easily adjust the number of servings for this recipe. 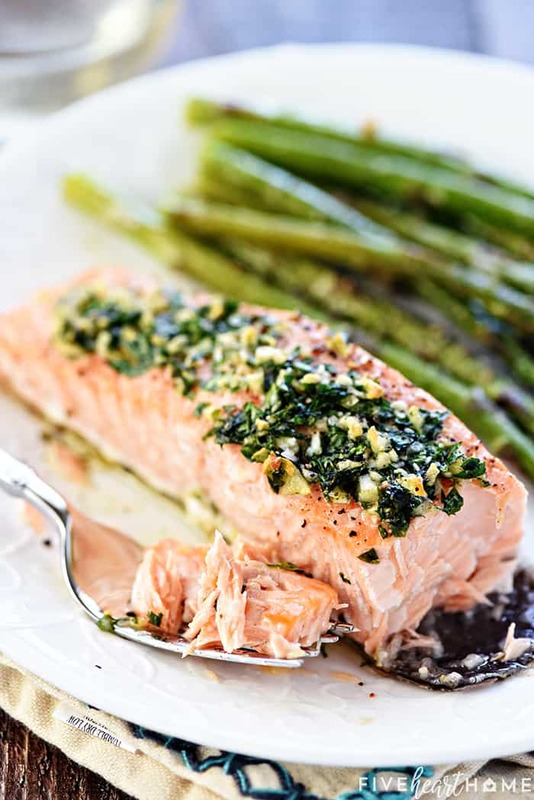 For each 5- to 6-ounce salmon fillet, you will need 1 clove of garlic, 1 tablespoon of minced parsley, and 1 scant tablespoon of extra-virgin olive oil (or melted butter). If desired, you may swap fresh minced dill (or other fresh minced herbs) for up to half of the parsley. 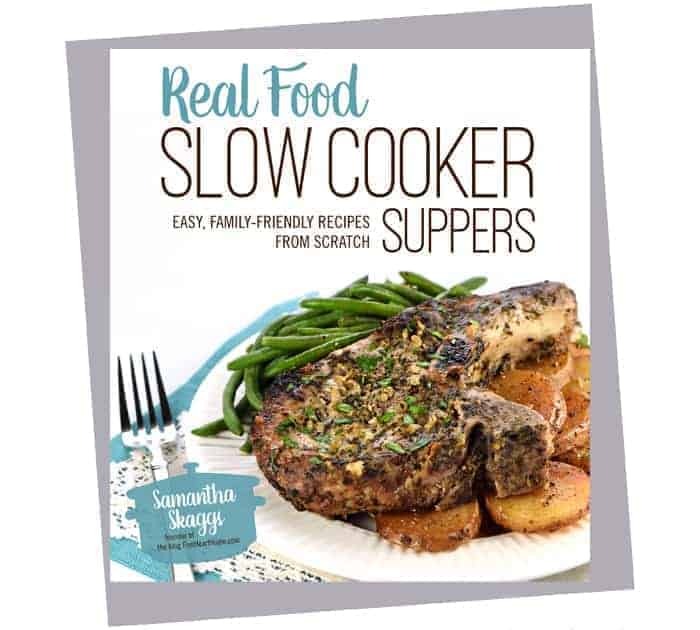 Salmon will look opaque and flake easily with a fork when cooked through. 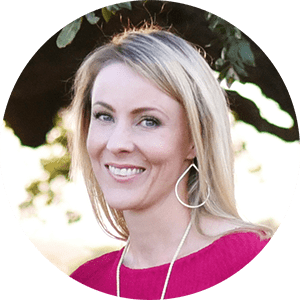 Using a thermometer is the most foolproof way to know that fish has reached temperature. 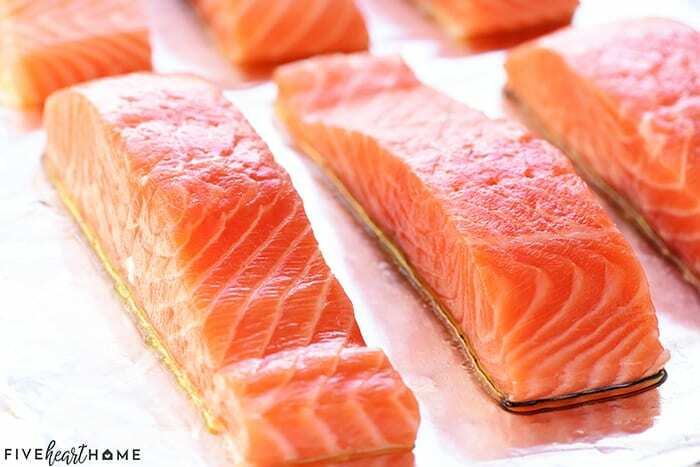 Again, the USDA recommends a safe temperature of 145°F for salmon, but if you prefer it less cooked, that's up to you. Feel free to squeeze lemon wedges over the fillets before serving. Sauce adapted from The Spruce Eats.